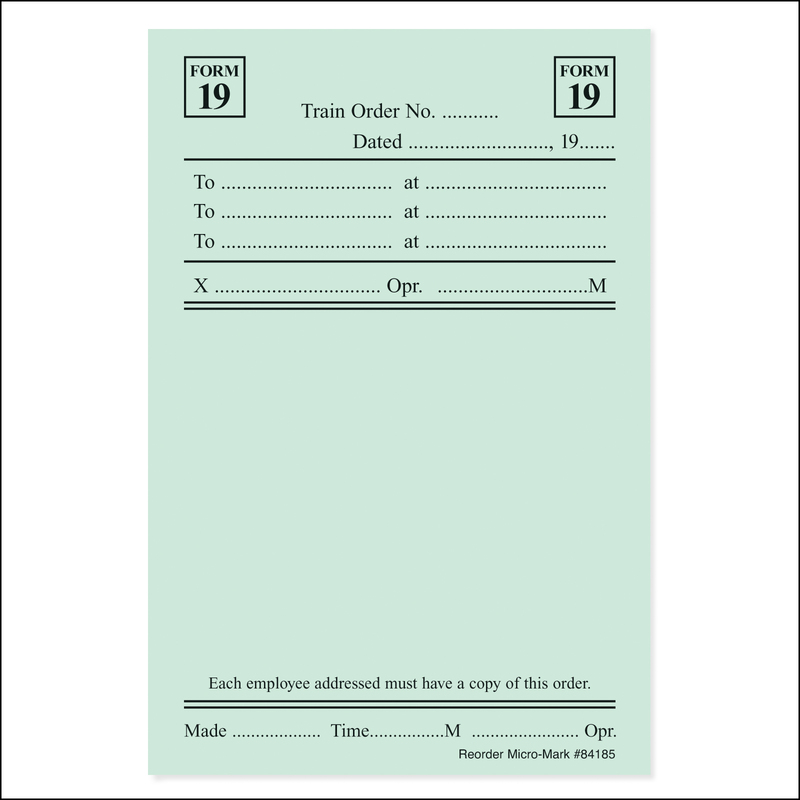 Pre-printed Train Order forms for realistic dispatching of model trains. Forms marked CFB (Coated Front & Back) are printed on carbonless copy paper; index sheet included for use as a copy blocker. #84185 Form 19 CFB green - 3.36 inches wide x 5 inches high. 50 sheets per pad on chipboard backer with index sheet insert. Pack of 5 pads (total of 250 forms).